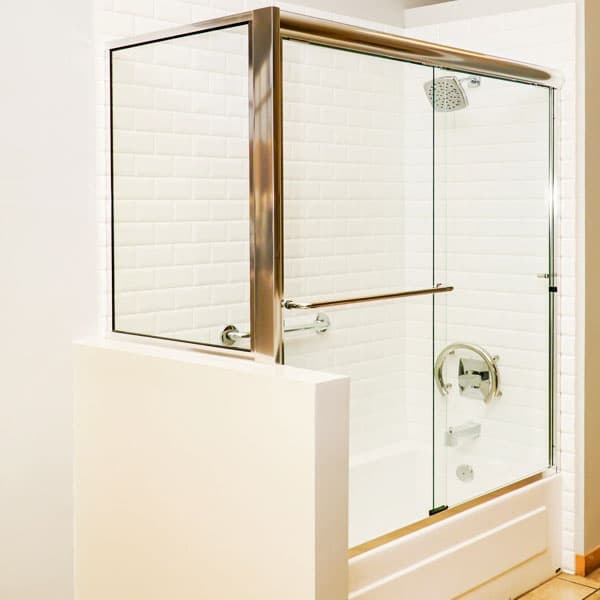 Alumax is the industry leader in the production of bright-anodized extrusions for bath enclosures. In addition to the standard anodized finishes the aluminum-framed enclosures can be powder coated in a wide variety of colors. Combined with a selection of glass patterns, our customers can virtually design their own enclosure. Alumax shower doors and bath enclosures are made with the highest quality materials and construction, offering an uncompromising, lasting value for today’s discerning bathroom designer or home owner. We customize your installation to meet your specifications along with a choice of finishes, glass and hardware.